Located within 4 blocks of the Old Market and the financial district, this downtown hotel has a complimentary local shuttle. Had an accessible room which was spacious and the shower was great. Bed was very firm and I slept well. Carpet was a bit worn but overall the place was fine. Breakfast offered many choices. I would stay here again. A perfect stay for a one day business tip. I highly recommend anyone looking to stay in DT Omaha check out Hotel Deco. Where to find Omaha hotels near an airport? 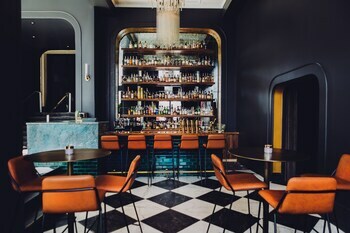 How can I find hotels in different Omaha neighborhoods? Where can I find hotels in Omaha that are near tourist attractions? From the affordable to the more luxurious, Omaha offers a wide selection of comfortable room choices. Expedia has at least 59 places to base yourself within a 0.1-kilometre (0.06-mile) radius of the center of Omaha. 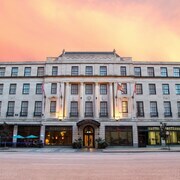 The Hotel Deco XV and Embassy Suites Omaha - Downtown/Old Market are some of the more centrally located lodgings in Omaha. Bellevue has 9 accommodation options, which makes it the part of Omaha with the most hotels. It is 14 kilometres (9 miles) from the center of Omaha. 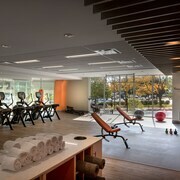 Bellevue places to base yourself include the Holiday Inn Express & Suites Bellevue and Hampton Inn Bellevue. Another popular place to stay is Gretna. Gretna offers the Holiday Inn Express & Suites Omaha I-80 and Super 8 Gretna NE. Or, try Blair, where you'll find the Super 8 Blair and DeSoto Inn & Suites Blair. The Holiday Inn Express Fremont and Oak Tree Inn Fremont are situated in Fremont, and Embassy Suites Omaha-La Vista/Hotel & Conference Center and Hampton Inn & Suites Omaha Southwest-La Vista are part of the La Vista area. The Creighton University and the University of Nebraska-Omaha are well-known Omaha, attractions and many visitors choose to stay close by. The Residence Inn by Marriott Omaha Downtown/Old Market Area and the Courtyard by Marriott Omaha Downtown are amongst those closest to the Creighton University and the Sonesta ES Suites Omaha and Courtyard Marriott Aksarben Village are close to the University of Nebraska-Omaha. If you have a limited budget and are simply looking for deals on Omaha places to stay, you'll find that there are quite a few affordable lodgings to choose from in the vicinity. 11 kilometres (7 miles) away from Omaha's heart you'll find the Comfort Inn & Suites. The Econo Lodge Inn & Suites West is only 20 kilometres (12 miles) away. The Comfort Inn At The Zoo and the Oak Tree Inn Fremont are two of the other recommended lower-cost hotels that you could investigate. 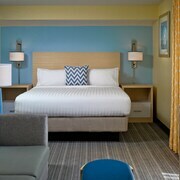 You could try the Staybridge Suites Omaha 80th And Dodge and also the Holiday Inn Express & Suites Omaha West. The Staybridge Suites Omaha 80th And Dodge is 8 kilometres (5 miles) away from downtown Omaha. The Holiday Inn Express & Suites Omaha West, is located 20 kilometres (13 miles) away. Some other hotel and apartment options around this area include the Magnolia Hotel Omaha and the Holiday Inn Express & Suites Cherry. Keen on seeing more of the prairies this area features? Why not spend some extra nights in some of the other destinations in Eastern Nebraska? You might like to travel to the region's various sights or have a go at camping, winery tours and canoeing and afterwards find a comfortable hotel to stay the night. Lincoln is 80 kilometres (50 miles) to the southwest of Omaha and is where you'll find Nebraska State Capitol and University of Nebraska-Lincoln. 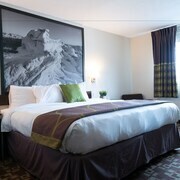 Expedia-listed Lincoln hotel options are the Hilton Garden Inn Lincoln Downtown/Haymarket and Embassy Suites Lincoln. 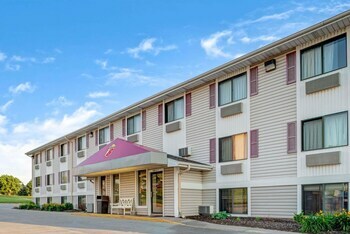 65 kilometres (41 miles) to the south of Omaha, you'll find Nebraska City, which is home to the Deluxe Inn Nebraska City and Best Western Nebraska City Inn. The Wildwood Golf Course and Wildwood Historic Center are just a couple of the more popular sites to explore while in Nebraska City. Eppley Field Airport is a logical airport, and can be found 6 kilometres (3 miles) from Omaha. Conveniently located Expedia-listed hotels include Holiday Inn Omaha Downtown - Airport and Homewood Suites by Hilton Omaha Downtown. What are the most popular Omaha hotels? 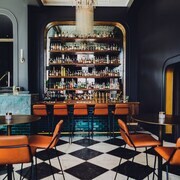 Are there hotels in other cities near Omaha? What other types of accommodations are available in Omaha? Explore Omaha with Expedia.ca’s Travel Guides to find the best flights, cars, holiday packages and more!